German civilian surveillance satellite. Surrey satellite bus, notably used for the RapidEye constellation of five environmental monitoring satellites. Mass of 152 kg including 12 kg of propellant. 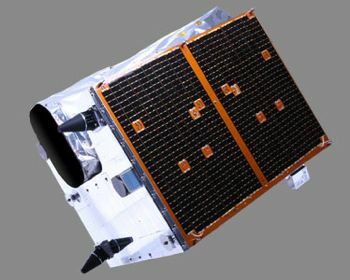 AKA: Beijing;CFESat;Choma;Choros;RapidEye;Tachys;TDS;Topsat;Trochia;Tsinghua. Status: Operational 2005. First Launch: 2005-10-27. Last Launch: 2014-07-08. Number: 11 . Gross mass: 152 kg (335 lb). 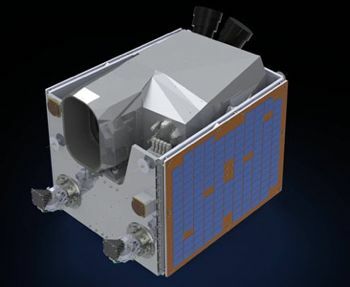 TopSat 1 Earth Observation satellite built by QinetiQ (prime), SSTL (bus) for MoD, BNSC, UK. Launched 2005. Used the SSTL-150 bus. CFESat The Cibola Flight Experiment satellites carried eight new technologies for space flight validation, including a new power supply, inflatable antennas, deployable booms, a new type of separation system. Used the [SSTL-150] bus. 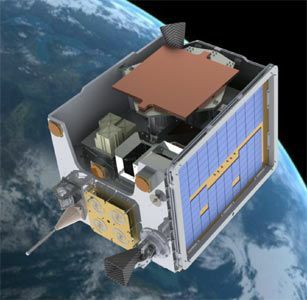 RapidEye 1, 2, 3, 4, 5 Earth observing satellite built by MacDonald, Dettwiler and Associates Ltd. (MDA) (Prime), SSTL (Bus) for RapidEye => BlackBridge => Planet Labs, Germany. Launched 2008. Used the SSTL-150. Launched 2008. 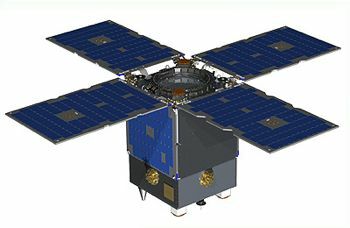 Kazeosat Kazakh medium resolution imaging satellite; had an imager with 6.5 meter resolution and a 77 km swath width. Used SSTL-150 bus. 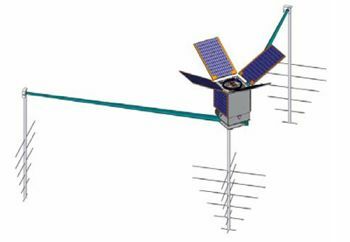 OTB Technology satellite for SSTL, UK. Used the SSTL-150 bus. Family: Civilian surveillance satellite, Surveillance, Technology. Country: Germany. Launch Vehicles: R-7, R-14, Kosmos 11K65M, R-36M 15A14, PSLV, Dnepr, Atlas V, Atlas V 401, Soyuz-2-1B. Launch Sites: Baikonur, Baikonur LC31, Vandenberg SLC3E, Cape Canaveral LC41, Plesetsk LC132/1, Baikonur LC109. Agency: Surrey. Bibliography: 13196, 13197, 13198. Topsat - . Payload: Heavily modified Surrey MicroSat-100. Mass: 108 kg (238 lb). Nation: UK. Agency: Qinetiq. Manufacturer: Surrey. Class: Surveillance. Type: Civilian surveillance satellite. Spacecraft: SSTL-150. USAF Sat Cat: 28891 . COSPAR: 2005-043B. Apogee: 707 km (439 mi). Perigee: 682 km (423 mi). Inclination: 98.20 deg. Period: 98.70 min. Delayed from May 18, mid-July, August 25, September 27 and 30, 2005. UK military surveillance research satellite..
Beijing-1 - . 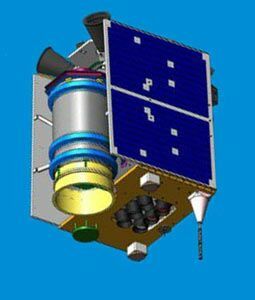 Payload: Tsinghua 2, China-DMC+4, Modified MicroSat-100. Mass: 140 kg (300 lb). Nation: China. Agency: KVR. Manufacturer: Surrey. Class: Surveillance. Type: Civilian surveillance satellite. Spacecraft: SSTL-150. USAF Sat Cat: 28890 . COSPAR: 2005-043A. Apogee: 705 km (438 mi). Perigee: 682 km (423 mi). Inclination: 98.20 deg. Period: 98.60 min. Beijing-1 carried a 31-cm focal-length cartographic telescope with a resolution of 4 meters. It was to be part of the international Disaster Monitoring Constellation. Operated by Tsinghua University for Beijing Landview Mapping Information Technology Ltd.
2014 July 8 - . 15:58 GMT - . Launch Site: Baikonur. Launch Complex: Baikonur LC31. LV Family: R-7. Launch Vehicle: Soyuz-2-1B. TDS 1 - . Mass: 150 kg (330 lb). Nation: UK. Spacecraft: SSTL-150. USAF Sat Cat: 40076 . COSPAR: 2014-037H. 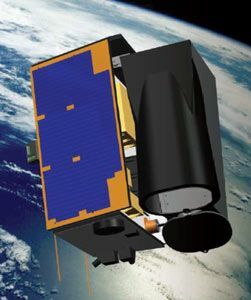 Apogee: 633 km (393 mi). Perigee: 623 km (387 mi). Inclination: 98.39 deg. Period: 97.27 min. TechDemoSat-1 by Surrey Satellite Technology carrying technology payloads from various UK universities..